** PRICE REDUCED ** Welcome Home to Bougainvillea Place...this 4 bedroom 3.5 bath 2400+sqft townhome is a former model for Gibraltar Homes features granite with bull nosed edges in the kitchen, GE Profile stainless steel appliances, diagonally installed floor tiles on main level except the master bedroom which features rich dark laminate wood floors. The Kitchen features solid wood cabinetry with pull out shelves, hideaway trash bin and a breakfast bar. The master bed/bath has walk-in closets, dual sinks with beautiful granite tops, an inviting garden tub and a walk-in glass walled shower. Upstairs features 3 other bedrooms all with dark laminate wood flooring. Bedroom 4 is HUGE and includes an en-suite bath OR would make a great game room. 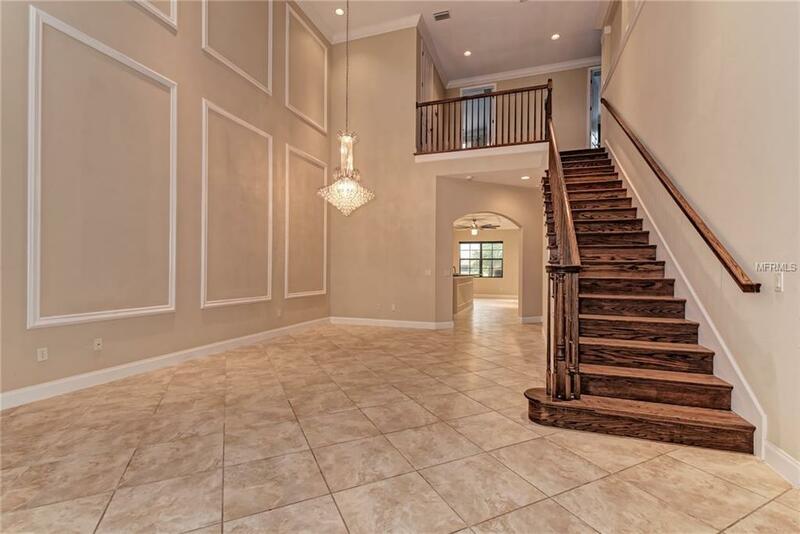 Other designer appointments include extensive trim borders throughout the main level, crown moulding, oak staircase 5.25" baseboards, central vacuum, audio package with surround sound and much more. 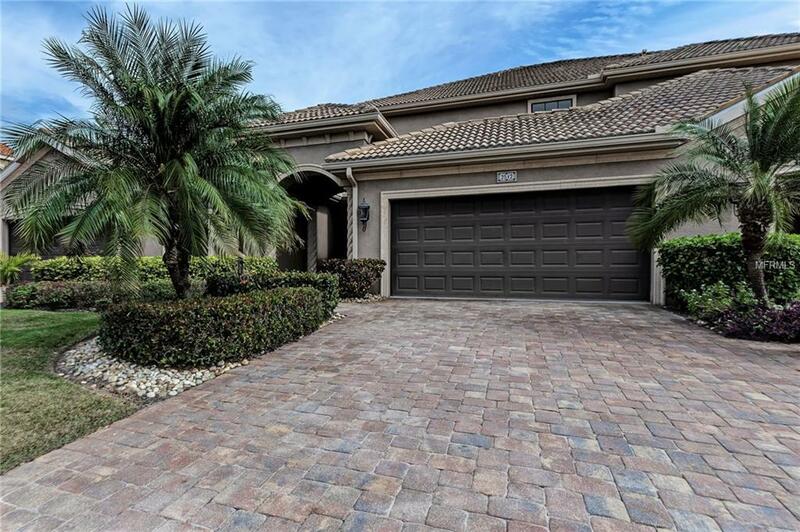 The community includes lawn/shrub care, resort-style amenities including private cabanas on the deck of the heated pool and spa, a fitness center, a BBQ park, a dog park and clubhouse, this home will truly provide an escape into the much sought after "Florida Life Style". The gated community of Bougainvillea Place affords "luxury living with a low cost value". Close to the area's largest outlet mall, restaurants and medical facilities. 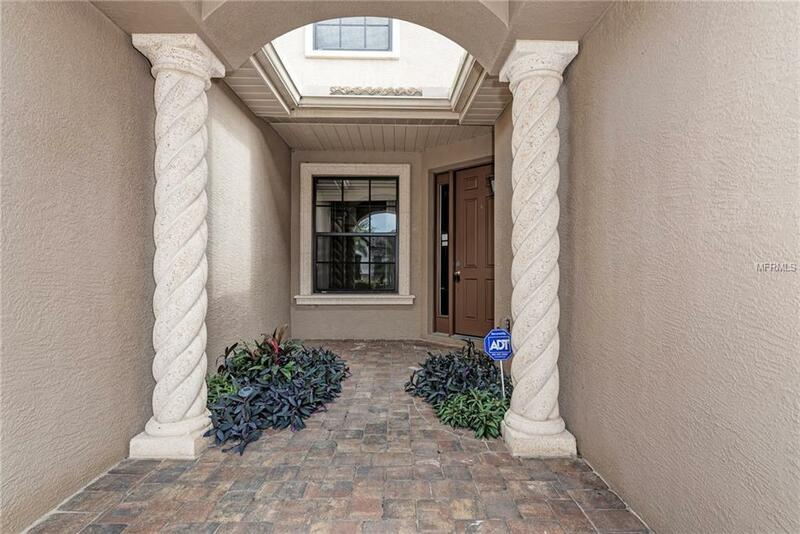 This is a quickly growing area and strategically located for an easy commute North and South to Sarasota and Tampa/St Pete. A MUST SEE ! 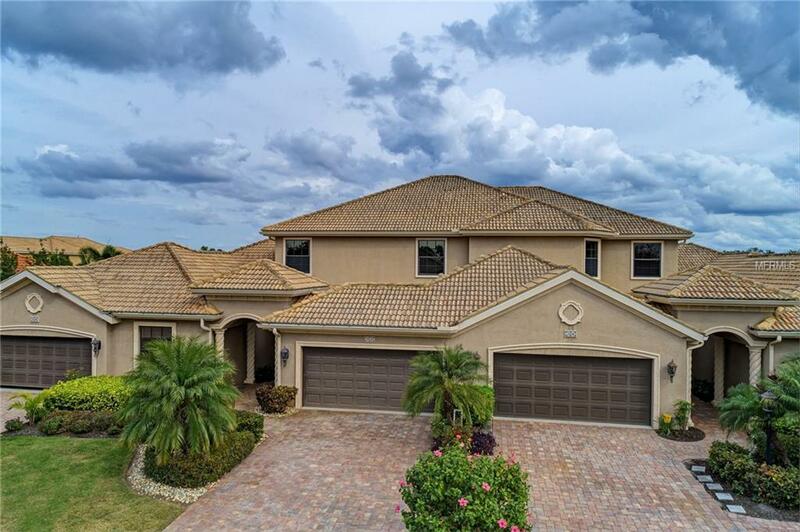 Listing provided courtesy of Sarabay Suncoast Realty.